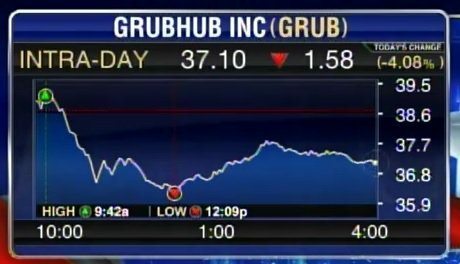 On Thursday, the Washington Times reported that Matt Maloney, CEO of the online food ordering company Grubhub, issued a political email to employees expressing disgust with President-elect Donald Trump and his politics. “I’m still trying to reconcile my own worldview with the overwhelming message that was delivered last night. Clearly there are a lot of people angry and scared as the antithesis of every modern presidential candidate won and will be our next president,” he wrote. 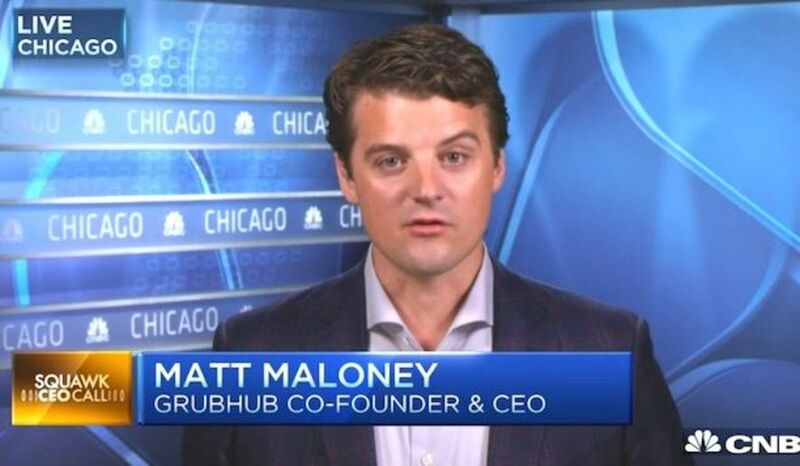 “While demeaning, insulting and ridiculing minorities, immigrants and the physically/mentally disabled worked for Mr. Trump, I want to be clear that this behavior – and these views, have no place at Grubhub. Had he worked here, many of his comments would have resulted in his immediate termination,” he added. This year’s presidential election was undoubtedly divisive and left many of our employees feeling concerned. In response, I wrote a company-wide email that was intended to advocate for inclusion and tolerance — regardless of political affiliation — during this time of transition for our country. Some of the statements in my email (please see full text below) have been misconstrued. I want to clarify that I did not ask for anyone to resign if they voted for Trump. I would never make such a demand. To the contrary, the message of the email is that we do not tolerate discriminatory activity or hateful commentary in the workplace, and that we will stand up for our employees. Grubhub welcomes and accepts employees with all political beliefs, no matter who they voted for in this or any election. We do not discriminate on the basis of someone’s principles, or political or other beliefs. I deeply respect the right of all citizens to vote for the candidate of their choice. In fact, I offered extra flexibility on Tuesday and encouraged all our employees to go vote. There is a place for all points of view at Grubhub. We value diverse perspectives and believe those perspectives help to create a better product and a better workplace culture. Grubhub’s leadership team has worked for years to create a culture of support and inclusiveness. I firmly believe that we must bring together different perspectives to continue innovating. We are better, faster and stronger together, and so is America. One could parse Maloney’s original message either way. At best, it was poorly-worded and insulting — certainly not the kind of letter one would expect from a CEO. Maloney, the Times added, told Fox News that “almost 20 percent” of his workforce thanked him for the directive.